Independent study by Franchise Business Review resulted in Lemon Heaven winning a 2010 award for franchisee satisfaction. Franchise Business Review says "With the economic recovery now underway, 2010 is a great time to invest in the right franchise opportunity - with a smart franchise company that puts their franchisees' success first. This year, we are proud to recognize these 133 award-winning franchise opportunities. They are truly the best franchises in the marketplace today!" click on the following link to see Lemon Heaven listed as one of the best franchise opportunities for 2010. Exclusive, Protected Territories Are Now Available In Your City! Inquire now because there will only be one "special event" franchise awarded per city. Lemon Heaven Beverages is actively seeking qualified individuals to own and operate exclusive territories around the world. Many years of experience in the industry translates to more knowledge that we pass on to you. Our system requires very little capital investment to get started. Very good Return On Investment. No additional franchise fees to expand to multi unit franchising. We do everything we can to help you expand and grow your business. Our award winning products all have high profit margins. Our method of operation allows for a high volume of sales in a short period of time. You will have products and an appearance that you can be proud of. Custom equipment packages that have been developed over many years. 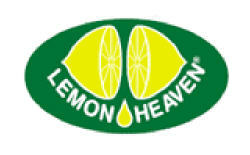 Lemon Heaven provides great training & franchisee support. Lemon Heaven's Family Intranet provides you the tools to run your business. Our intranet allows you to access your online, custom event management program and forums to communicate with the other franchisees in the Lemon Heaven System. Lemon Heaven has been a member of The International Franchise Assiciation (IFA) for years and adheres to their strict code of ethics and best practices. Isn't it time you take control of your own destiny? Contact us now to see if you have what it takes to join our family, The Lemon Heaven Family!